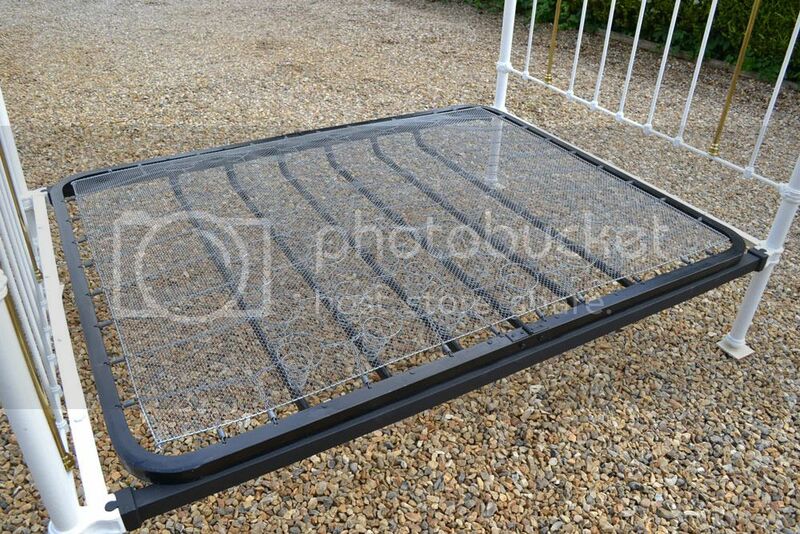 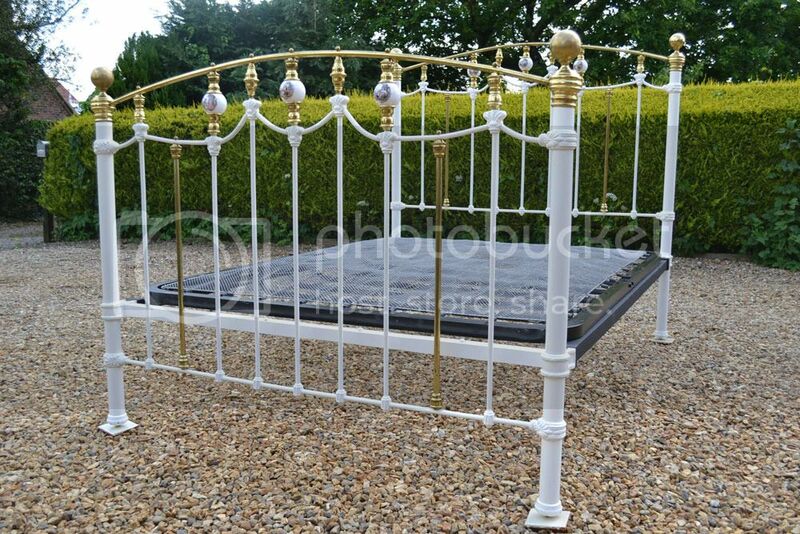 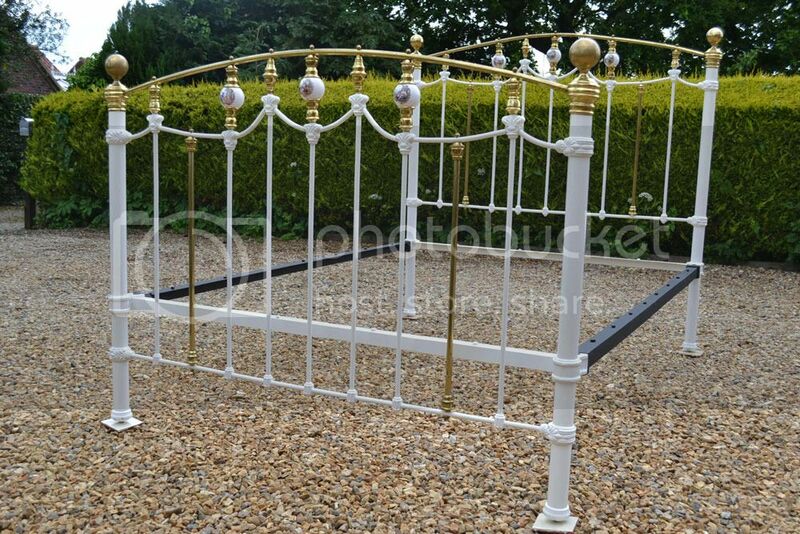 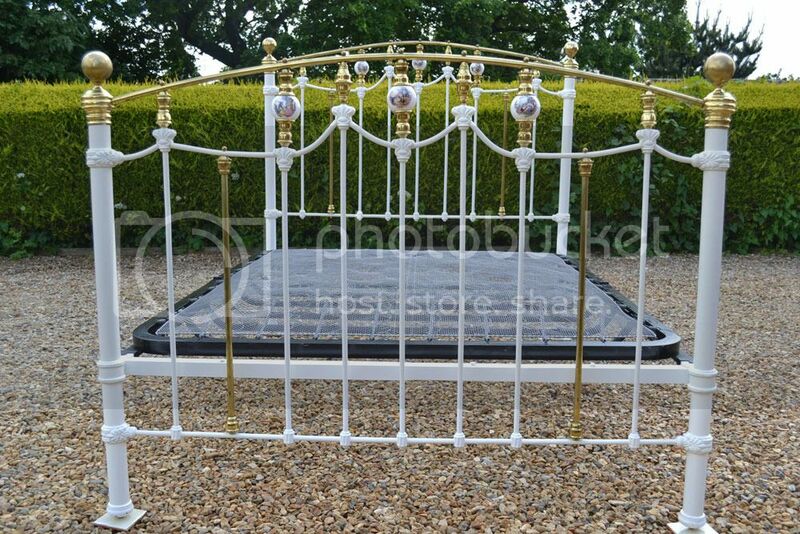 Code BA277 Victorian king size 5ft bedstead and sprung base, both in very good condition. 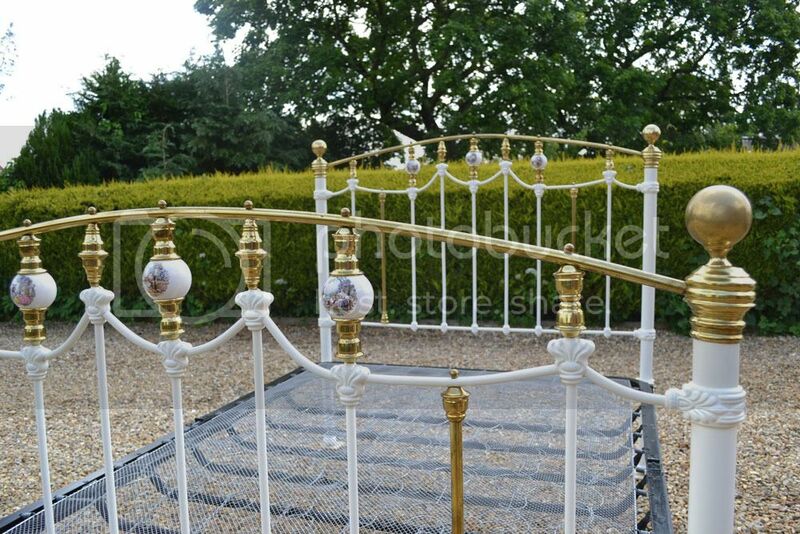 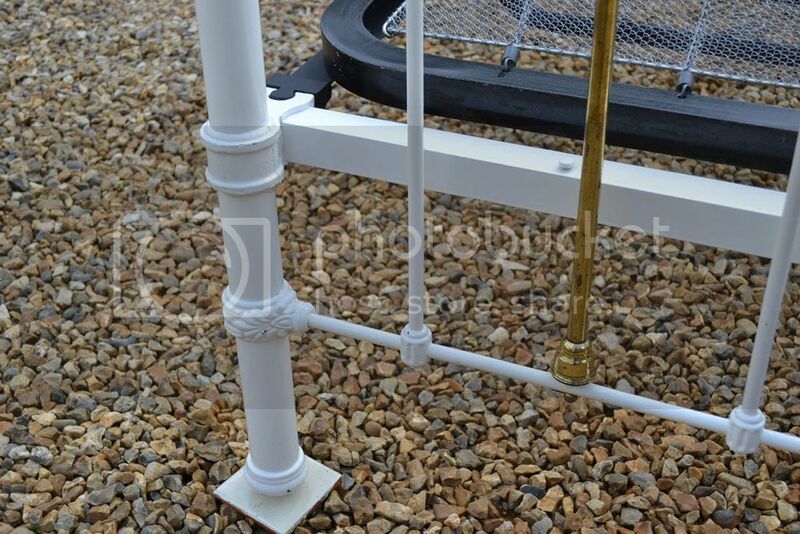 Fully restored around 10 to 15 years ago for the previous owner and well looked after. 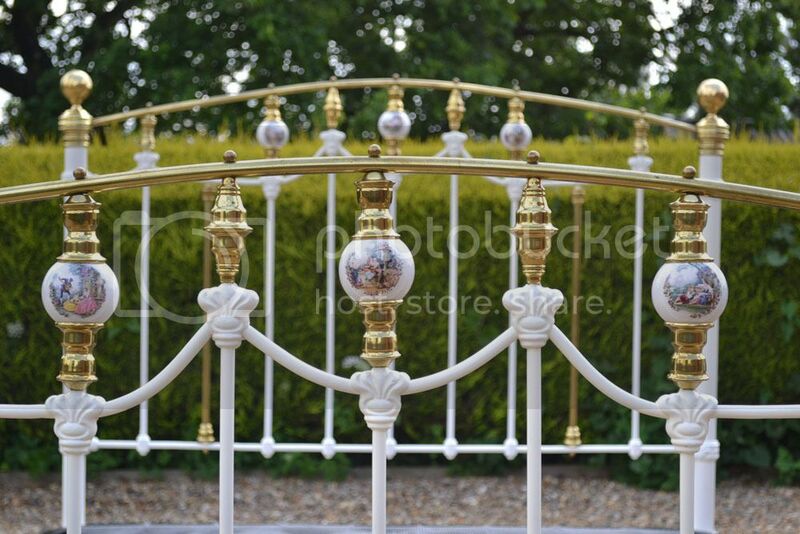 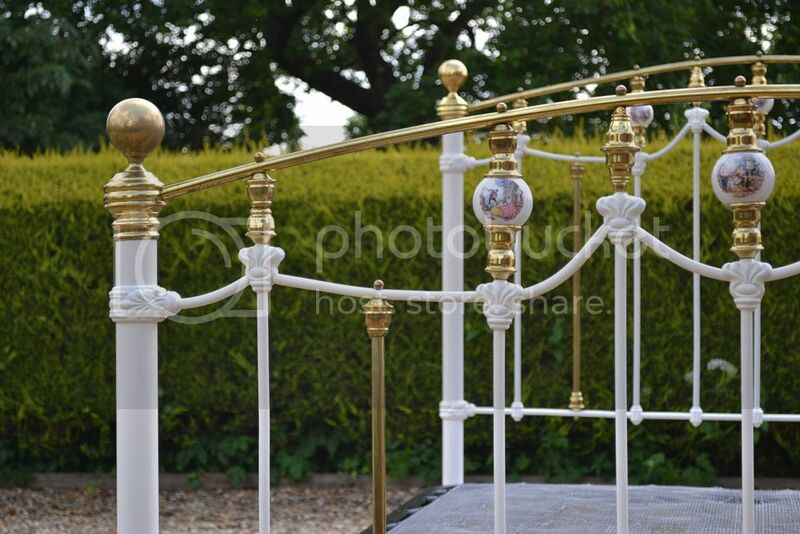 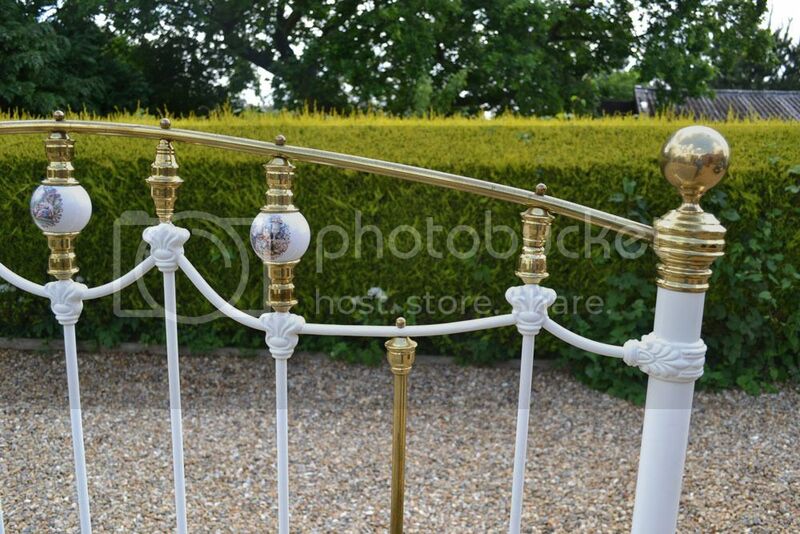 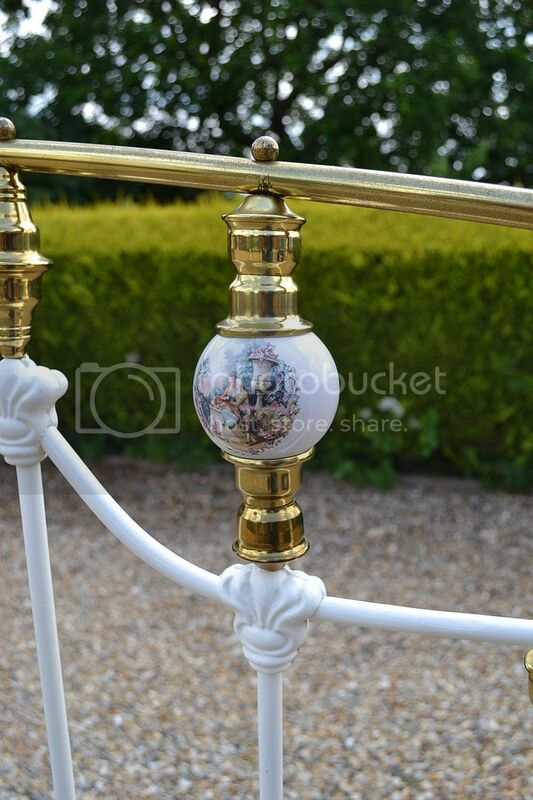 The bed has been extended and lengthened to take a standard UK 5ft mattress .There are a few marks and chips to the paintwork consitent with age and the brass has mellowed down with age.. 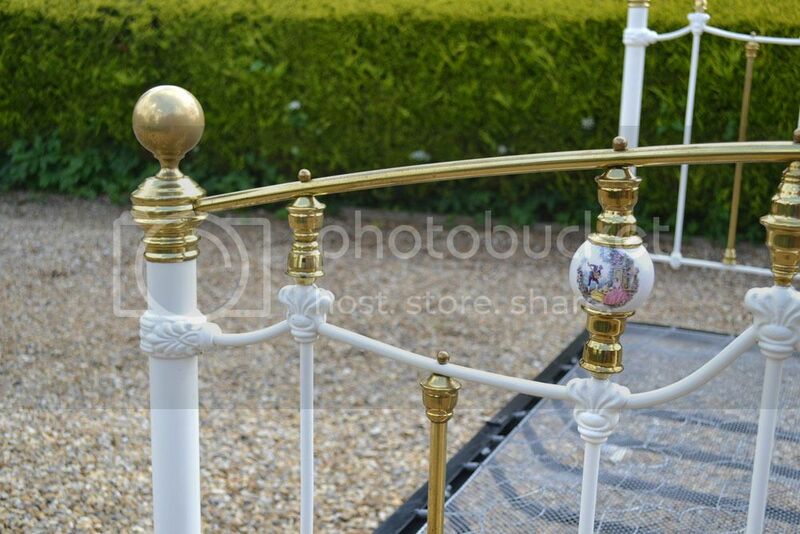 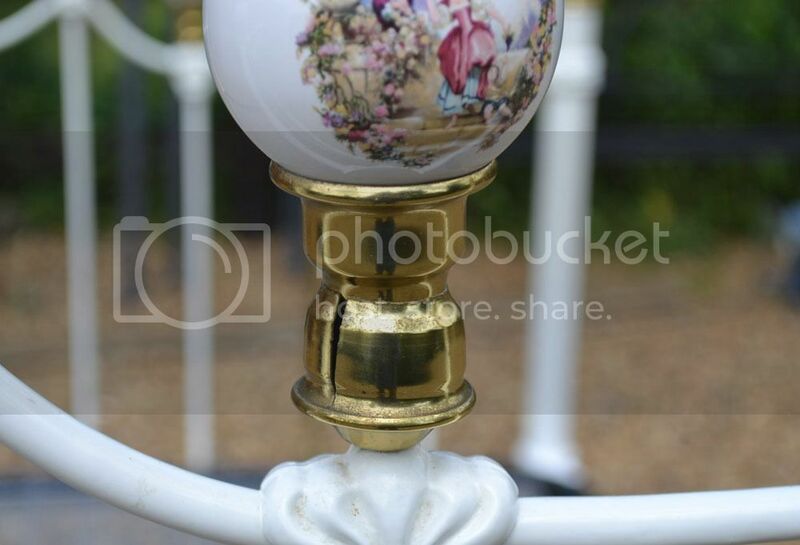 There are a few splits in the small brass rod ends under the china balls but these are mainly all on the head end and face the wall, so are not really visible ..